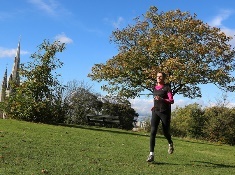 The Greenwich Runners is a friendly and welcoming club and is the only running group based in Greenwich Park. We are a fully licensed Run England running group and train in the beautiful surroundings of Greenwich Park, Royal Borough of Greenwich. We run various running groups each week. From beginner to our all level run clubs. The groups are taken by Ellie Brown, Carly Jane Ralston- O’Hara & Jannet Ricketts all fully qualified Run England coaches. The groups are supported by Run England and the Royal Greenwich Park and we are actively involved in promoting running in the community. The group offers not only training support and guidance but encouragement, camaraderie, warmth and a good welcome.